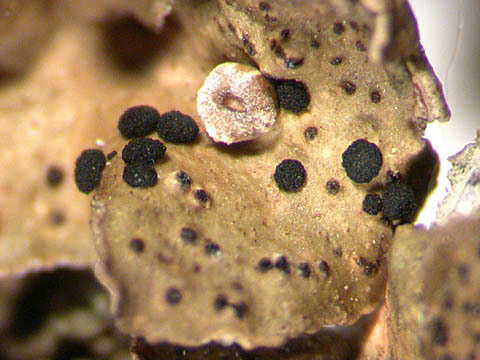 Lichenicolous, on the thallus of Pleurosticta acetabulum, teleomorphic stage always present, anamorphic stage rare. Luxembourg: Lorr. : AR (type locality). Lit. : Di: 28, LF0: 6 (sub A. parmeliarum), L12: 78, LF1: 298-300.